Cigna is an American health insurance provider which through its global division Cigna International offers high quality health care and insurance related products to individuals and groups throughout the world. Following the creation of Cigna International, the provider widened its operational reach to include 27 countries and today it employs a global workforce in excess of 3,000 professionals. Its year end revenues for 2008 were US$2 billion, making it one of the world’s largest medical insurance providers. With unparalleled experience of the American health insurance market, Cigna International has been able to successfully export this expertise around the world and it has an established presence in a number of locations in Asia, including Thailand and Europe. CIGNA Insurance Public Co Ltd. When I decided to find out what health insurance options were available to me before renewing my local policy, Thailand health insurance suggested that Cigna might have a plan that suits me and I am delighted to have made the switch. Not only am I getting a good deal, Cigna’s improved coverage levels and extremely pleasant and helpful customer support team made the decision to move provider a no brainer! I have no hesitation recommending Thailand health insurance and Cigna to anyone undecided about their current health insurance plan. 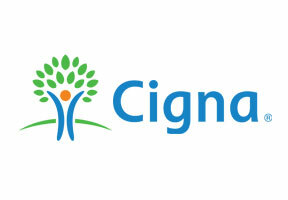 Additional information on Cigna Thailand can be forwarded to you by our support staff and they can be contacted here. Alternatively, you can use the request form at the top of this page to apply for specific information related to Thailand health insurance or Cigna.